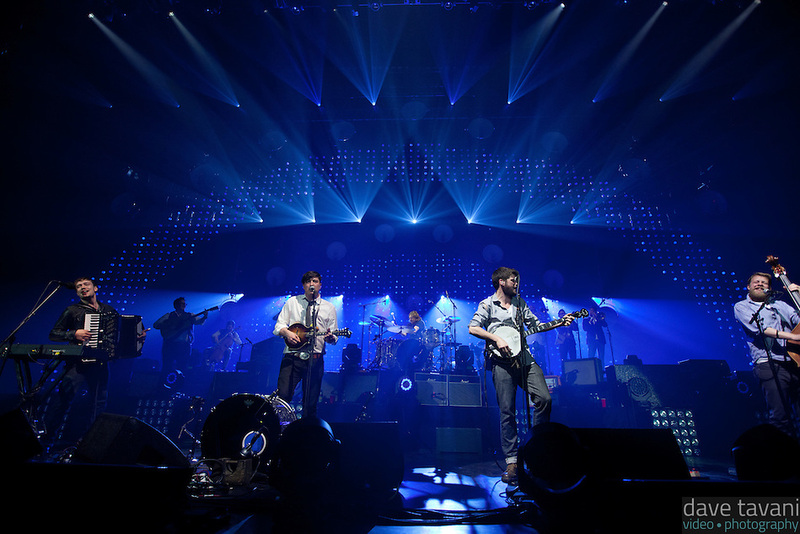 The British folk rock foursome, Mumford & Sons, swept into the Susquehanna Bank Center with high-energy songs and soaring harmonies that kept the singing-along audience on its feet for the whole show on February 16. 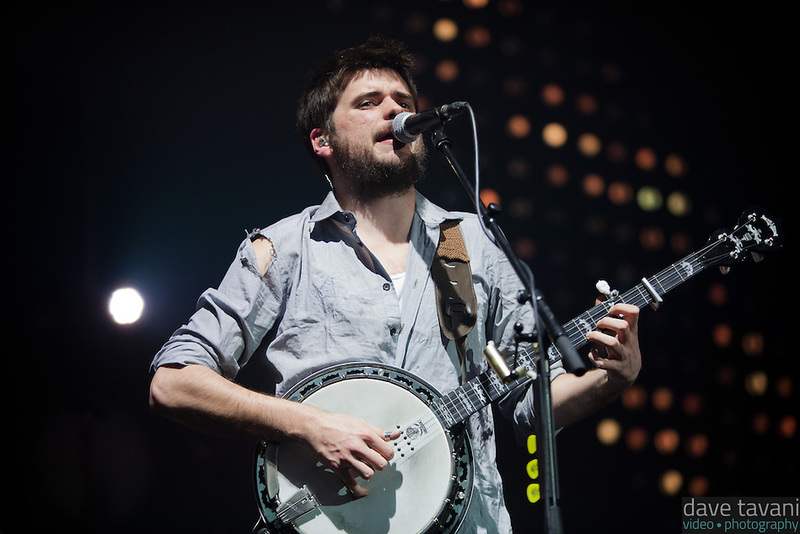 Mumford & Sons opened with “Babel,” the title track of their latest album which won “Album of the Year” at the Grammies last week. 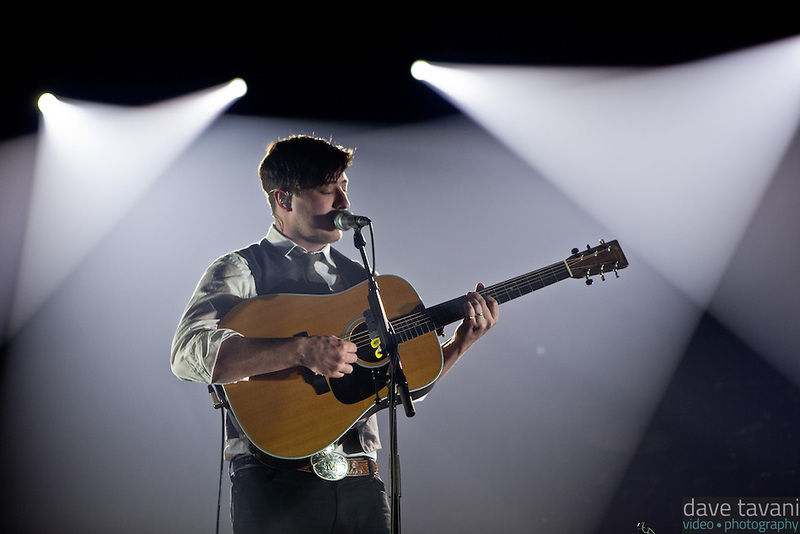 Then, the band stepped back to two of its biggest hits from the multi-Grammy-nomination debut album Sigh No More: “Little Lion Man” and “Winter Winds.” Most of the set consisted of Mumford’s most energetic songs, especially a spirited rendition of “Lover of the Light,” with Marcus Mumford pounding out the beat on a drum set and singing lead vocals. 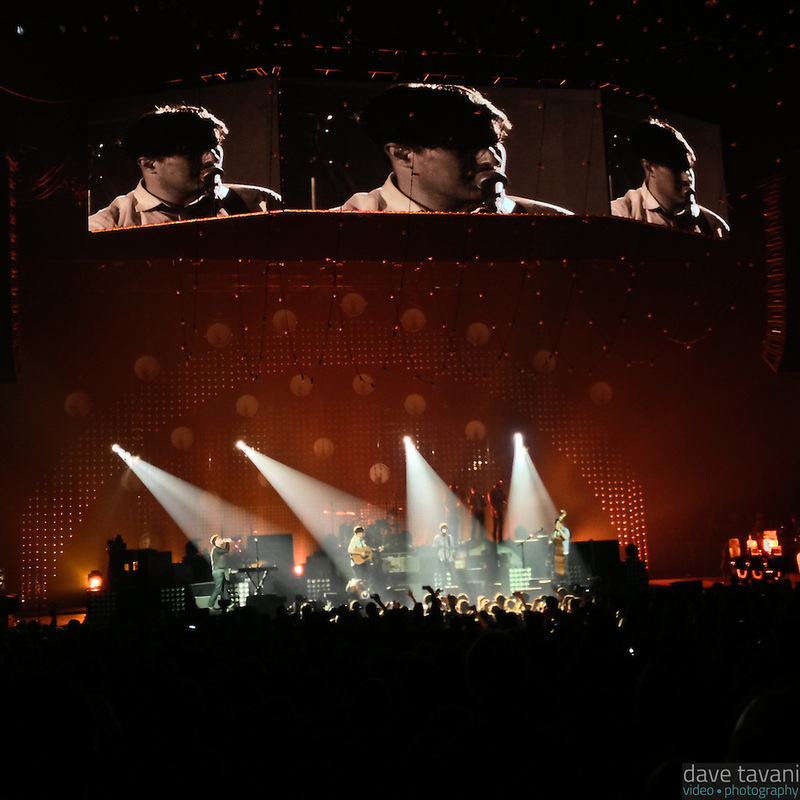 But the band did play a few “quiet songs,” as Marcus Mumford described them like “Timshel” and “Ghosts That We Know.” For several of the songs, a trio of string players and a three-piece horn section accompanied the band to add the depth to the multi-instrumental sound the band has developed. 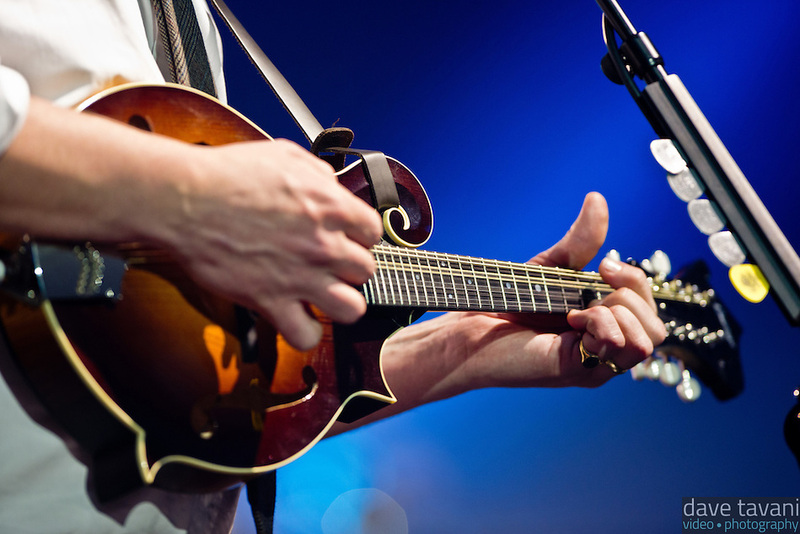 The members of the band also changed up instruments on almost every song playing everything from the accordion to the Zildjian cymbals, and others in between including: keyboard, piano, drums, guitars (electric and acoustic), a mandolin, a banjo, an upright bass, a bass guitar, and a resonator guitar. 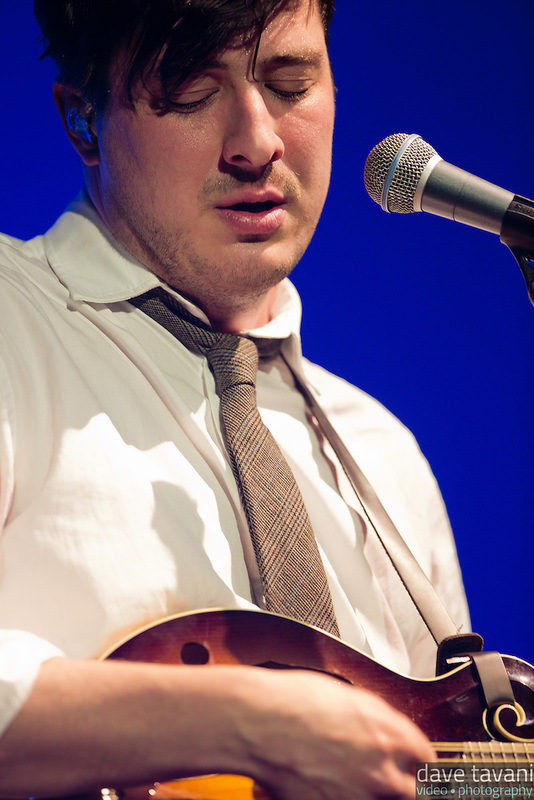 In fact, Marcus Mumford often played the kick drum while strumming away on a guitar or mandolin and singing. 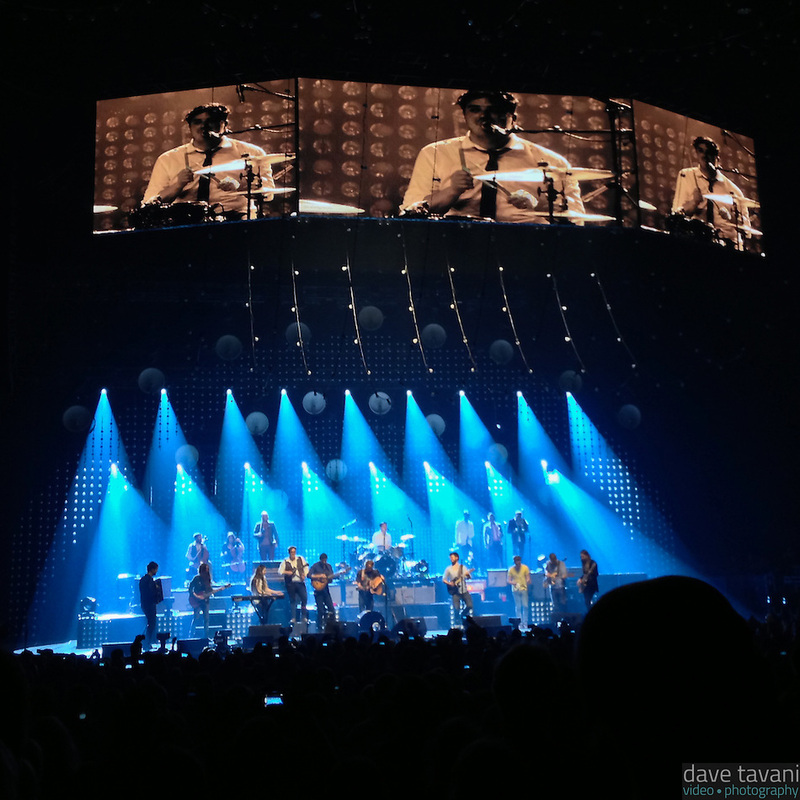 For their encore performance, Mumford & Sons played the hit “The Cave,” and then brought up the opening bands — Heim and Ben Howard — to perform a cover of “Atlantic City,” the old Bruce Springsteen number from his 1982 album Nebraska (see the last photo in this post). 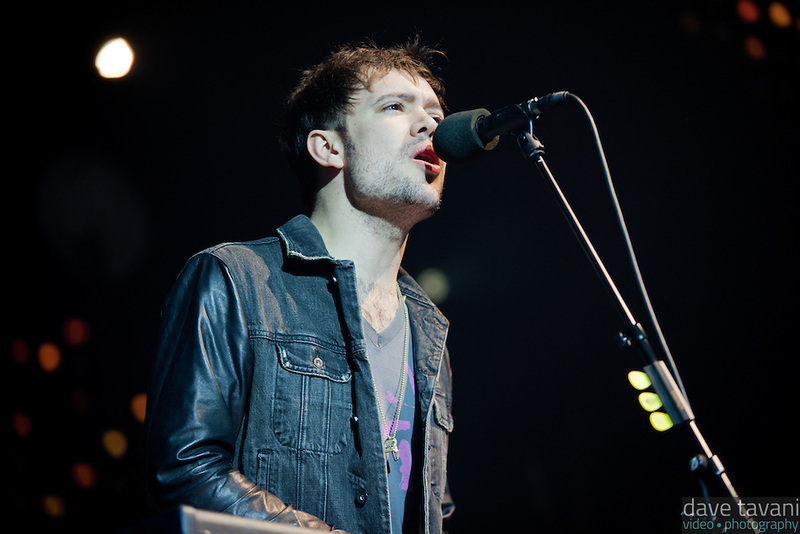 The song choice was made in order to honor the fact that the band was performing in New Jersey, as several members of the band made note throughout the set. 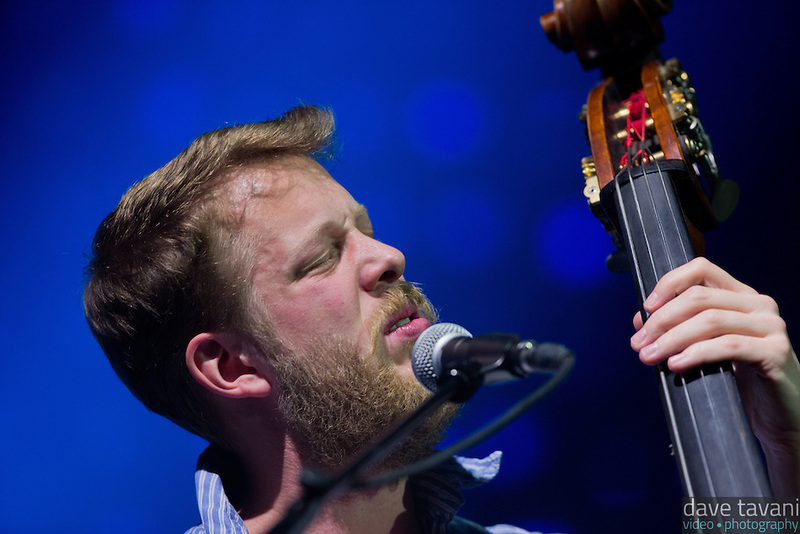 It was a great show, and I heard a bit more of the second night, as it was broadcast live on WXPN. 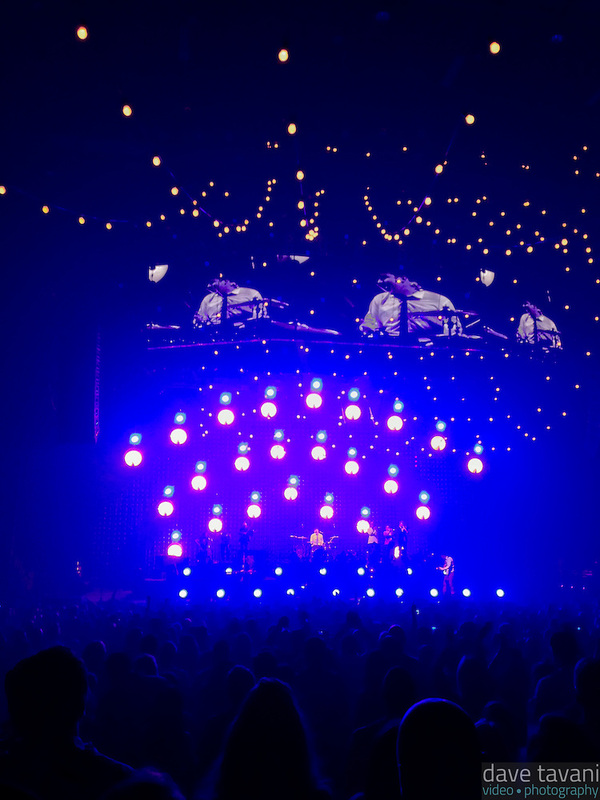 Here are a few photos from the first three songs. 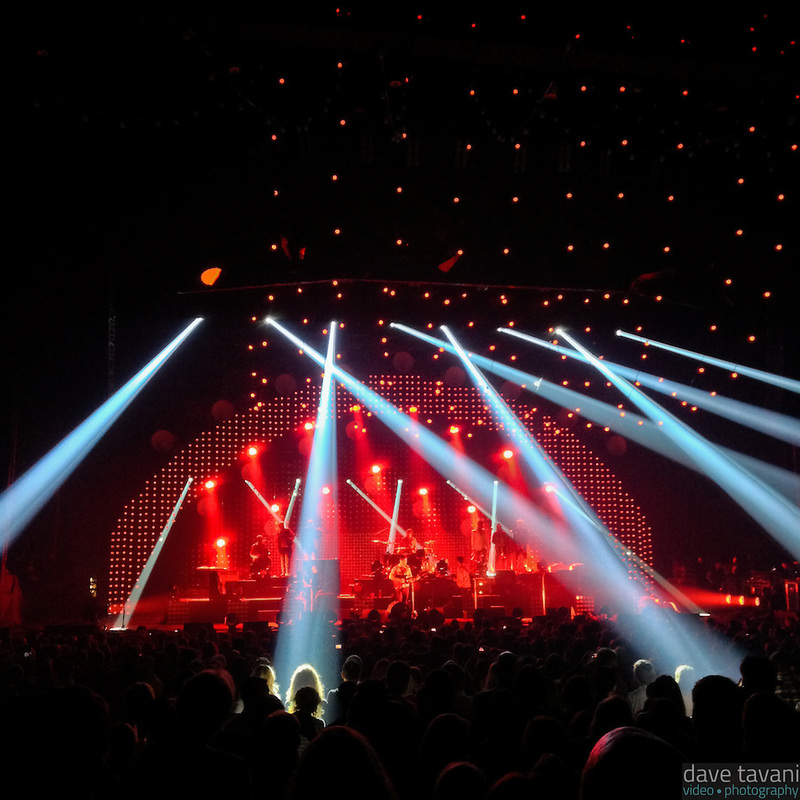 Click here to go to the full gallery.